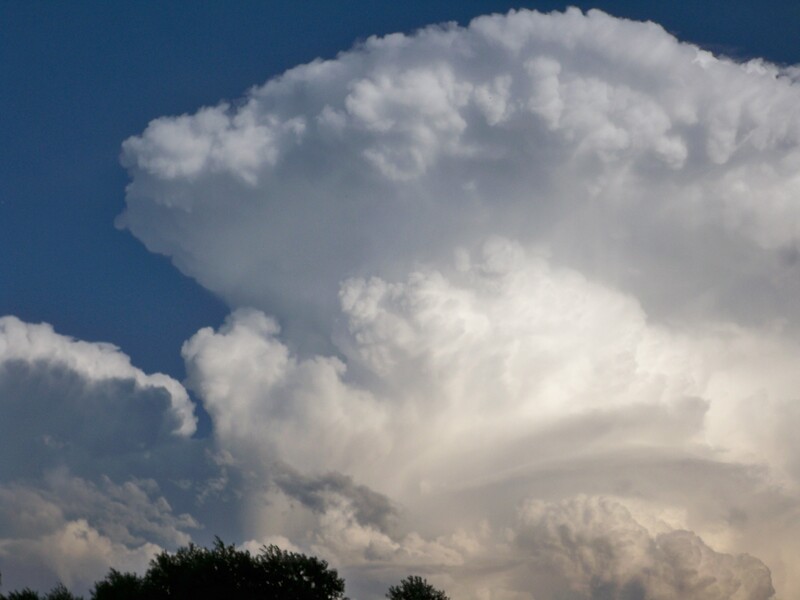 This massive, expanding thunderhead is representative of what passed overhead throughout the months of May, June and July when daily afternoon rains kept our foothills green far longer than normal. The memory of such varied cloud formations led me to check the malapropisms listed under C in my going to hell in a hen basket dictionary by Robert Alden Rubin. ‘Cluster-fudge’ isn’t an official malapropism. I made it up. It’s a polite version of the other ‘cluster-f-word’ and an apt description of the sticky messes our human race has stirred up in just about every country around the world. Perhaps we’ll see ‘cluster-fudge’ in Rubin’s 2017 revised dictionary, should the world not ‘go to hell in a hen basket’ sometime in 2016. In the meantime, ‘clusterphobia’ IS an official malapropism, and a condition I have been known to suffer. The condition takes its name from the Latin – claustrum – a lock or bolt – and describes someone nervous about being locked in a small space. But a ‘cluster’ of people can indeed produce both ‘claustrophobia’ and ‘agoraphobia’ (fear of crowds). Seek immediate relief when suffering preliminary symptoms of clusterphobia in order to prevent a cluster-fudge of epic proportions. Great choice! I like how you dodged around the words after reeling us in with another naught-sounding title. I have got to get this book. When my daughter was younger, we were working on my old Triumph Spitfire. An electrical relay had overheated and actually caught on fire and melted. We were at the auto parts store trying to get a replacement. The female clerk said “this is what we call a clusterrrrrrr,,,” looking at my daughter, she trailed off but we all got the message. Making up my titles has been the best part of writing this series! Great anecdote about Faith. You do seem to have a history with malapropisms! You might be interested in the following sources used by the author. Thanks for giving me those sources. This is why I just make up words sometimes. I make up words too, especially verbs into nouns. They just make sense sometimes. Seems everyone is fashioning language to fit needs. I used to hate it, but now I’ve given into ‘going with the flow’. Why paddle upstream when the tide has turned (or something like that)! Everyone who’s seen “A Christmas Story” remembers the scene where Ralphie’s helping his dad change a tire, and sends the lug nuts flying. “O, fudge…” played into that one. Whether it was the first use of the euphemism I don’t know, but you’ve done a creative expansion! I don’t remember seeing that! Thanks for the info adding to ‘cluster’s’ long and colorful history! A classic moment! If you haven’t seen the film, you must. It’s my childhood, that’s for sure. Mom and I used to binge-watch it during the Christmas season. It’s my Rocky Horror, in the sense that I know all the lines. Now A Christmas Story is going on my movie list with notation to watch for tire scene! You have me laughing with your Rocky Horror analogy. Clusterphobia: a common work related malady. Oh so true! I have a great anecdote from a resident of a small mountain town recalling the wildfires a few years ago. Local volunteer firefighters got to work, county firefighters came and got to work, state firefighters came and got to work, nat’l guard came and got to work. And then the Fed Agencies came. All work came to a screeching halt as bureacracy brought its typical cluster-fudge of no knowledge or n-the-ground experience, and power plays outweighed common sense. Yeah. I hate to hear tales of incompetency and inter-agency fighting among the security departments, but sadly the federal gov’t doesn’t function well even there. It’s a cluster-fudge that’s been years in the making. Horror is the level I’ve reached about what goes on in DC. I doubt I’m alone in that despair. Here is one reason I suffer from Clusterphobia. Whenever a cop queries the national NCIC criminal database, a strange thing happens. Say the cop is looking for the last name of ‘Johnson’. When the response returns, the name will appear as J0hns0n. Notice how ohs have been replaced by zeroes? This practice dates back to the old IBM card reader days, when keypunch operators were trained never use O because it was hard to distinguish from 0 on the input forms and if you typed a date as O20261, (the first character being an ‘oh’), it would blow up a COBOL program (if the programmer didn’t test for it). It is now 2016, and NCIC still does this! I have never met a group of human beings so terrified of change. Mind-boggling! And probably hair-pulling to work in that environment. It stifles all desire to excel. This is an amazingly brilliant series! I love it! Also, I forgot to say this — I have a fear of crowds. Disneyland, big venues with lots of people. I was terrified when we saw Dylan in a basketball stadium in Oregon. As I was going through my publisher’s copy edits of my manuscript this morning, I found a malapropism of mine she caught. When I corrected it, I thought, “I’m going to tell Sammy about this when I read her next blog post.” But would you believe I can’t remember what it was? I know it was something where I used the word ‘in’ instead of ‘and’, but I can’t pull it up beyond that. Good grief and gravy, I’m losing it. Actually, it’s going quickly now. I’ll finish the copy edit revisions today, then the publisher will go through things again and get the ARC ready. We’re shooting for a November 5th release date, so I’m getting excited. All right! An early Christmas present! Oh, I love clusterphobia! It reminds me of one of those made up words from the list that one of the big newspapers (New York Times?) prints every so often. Another favorite: destinesia (a combination of destination and amnesia) meaning that common forgetfulness we experience when we can’t remember why we’ve entered a room (“why did I come in here”?). I can’t wait for your next entry. LOL i’m going to use destinesia on Hub. I looked where we hang the list and there was no list … Anywhere. Then we both cracked up! Oh Sammy I am totally borrowing your cluster fudge! Often i suffer from clusterphobia in high tourist season when traveling. This will keep me smiling rather than snarling. Whatever it takes, right Sue? Oh Lord – don’t let Joanne get us started on the Feds and their Fiscal Fudgery. I bet you are chuffed about your new word, huh? Sammy, well done. Sure you weren’t a comedian at one point in your life? Like on TV or in the movies? Love your sense of humor and the play on words here. Now, I’m going to go and laugh some more. Thank you. Dad’s genes, I think! I love how you’re going backwards through my series 😊 thanks for the chuckle, Kelli!! Yeah…I’ve been known to do a lot of stuff backwards. I adore reading magazines backwards! That sounds like the Kelli I know and love! !